How often do you take a look at the air vents in your home? Most people probably don’t pay them much attention at all. The role of air ducts in the home is underappreciated. Without them, your home would be full of stale, dusty air, rendering it uncomfortable to be in. Likewise, if the air ducts don’t work well, you won’t be able to enjoy your home fully. The vents are the connection between the ducts and the inside of your home and they deserve regular attention. Dust and grease stick to the vents, and if they’re not cleaned regularly, they’ll build up and become a nuisance. It may become so substantial that you can’t feasibly clean it with regular home cleaning supplies. When it gets to that point, it’s often best to have the vents replaced, and take better care of them moving forward. This can be due to poor fitting, decaying material, or various other reasons. If your vents are falling out, glue and extra screws may provide a short-term solution, but in the long term, damaged and weak vents will only become more of a problem. Getting new vents properly installed is a sustainable solution for the long term. If your replace your air duct system, it’s often necessary to replace the vents as well, as they are an integral part of the system as a whole. The system may be replaced for a number of reasons, such as mold, rodents, damage, or poor construction. This is a complex operation, but in the cases where it’s necessary it will leave you with a much better air duct system in your house. Our professionals are experts at all things air ducts and vents. We do cleaning, repairs, and replacements, and can advise on the best course of action for your specific situation. Your air ducts are in good hands with us. CALL NOW - Ask about our discounts! 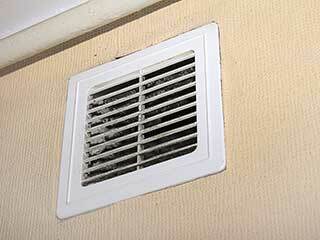 We offer our customers a wide selection of air duct and dryer vent cleaning services. No matter what task you need completed, we are just one phone call away, because we are a locally based company. No job is too big or small for us and we strive to offer personal service to each and every customer. Our technician will contact you before arriving. Until then, feel free to browse our website! Air Duct Cleaning Chula Vista is at your service!